I recently bought an old home that’s been in my family for years and years. I grew up in this house in more ways than one and I love it here. Though, a few months ago, I realized the windows just aren’t what they probably once were. They’d been here for as long as I can remember. In fact, I distinctly remember my mom telling me that everything in the home is original—the doors, the brick, the wood floors, the windows… But, sure as I once was that all the features of this home would continue on into my future and beyond, I knew the time had come to find the right replacement windows for this old house. Down the road a few miles, in Toronto, ON, is a company that’s been here since I was a little girl: Brock Doors and Windows. If anyone could match replacement windows with the style of my family’s home, I knew the professionals at Brock could. I noticed the air conditioning and heating bill was astronomical. Before, when I wasn’t the one paying the bills, it never occurred to me how wasteful the original windows had become, monetarily. They weren’t double or triple paned, they didn’t include Low E glazing for energy efficiency, and they did not have argon or krypton gas-filled panes for thermal protection. I am installing a new HVAC system in the fall. In order to extend the life of my brand new heating and air conditioning unit, I couldn’t wisely move forward without considering replacement windows. Quality windows keep our HVACs from overworking because they add a layer of thermal protection that old, inefficient windows can’t. Many of the windows are jammed and uneasy to operate. As quirky and old-timey as it is to have windows that fight you every now and then—I couldn’t have my kids living in a home with windows that presented a safety hazard. What if there were ever a fire and we needed to escape quickly—but their bedroom windows were jammed? What if the living room window slammed down on their little fingers while they waved good-bye to Daddy? Nope. I love this home and all its originality, but I love my family more. One of my biggest concerns was the integrity of this home—I wanted to maintain the character and I know new windows often look out of place. My Brock professional was so understanding and so thorough. We chose windows that look almost exactly like the originals! They’re affordable and highly energy efficient. The best part? My babies are safe in our new (but old) home with easy-to-operate windows. 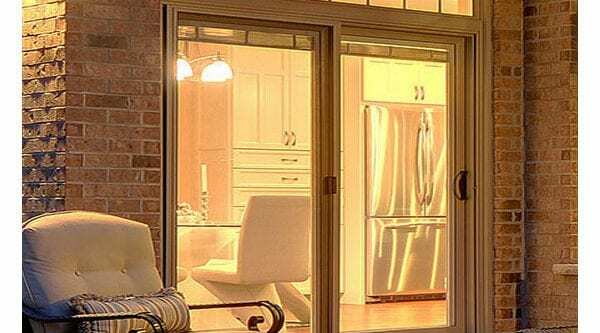 If you’re in the market looking for the best quality replacement windows in Toronto area, give Brock a call. They make your home important to them because it’s important to you—and my home is proof.